Manhunt ends after speeding paramedic found to be rushing to save policeman's father. In a twist of fate, a policeman pulled over a haredi paramedic who was rushing to save his own father. 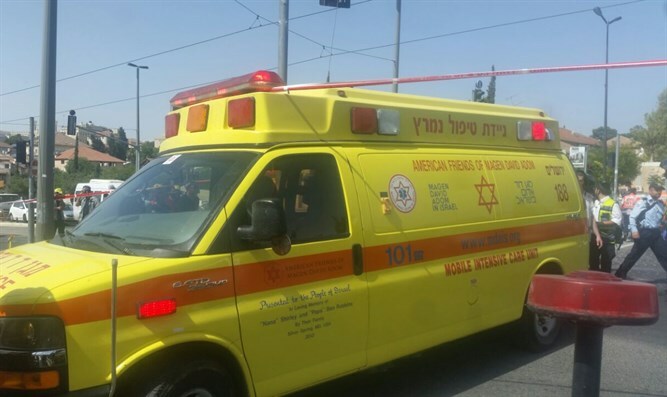 In the report by Kikar Shabbat, a Mogen Dovid Adom paramedic had been rushing to a call last week near Bnei Brak and decided to cut time by driving through a red light. His driving infraction was spotted by a policeman, who ordered that he pull over to the side. The paramedic decided to ignore the call to pull over in order for the medical treatment to arrive on time, sparking a manhunt. Upon arriving at the address, the paramedic found a 64 year-old man unconscious from a heart attack. The policeman pursuing him was dumbfounded to realize that the man was his own father and quickly evacuated him to the hospital.